For the gentle soul that your mother is, she ought to be treated most especially. And what better way than flowers to tell her she has an amazing soul? This Mother's Day, surprise her with the scintillating range of Mother's Day flowers from FlowerAura and add the brightest grin on her face. A mother is a treasure that only a few truly cherish. Just right from the childhood, a mother has put all the efforts and time to nurture us and made us what we are today. No matter whether it's a good time or bad time, a mother is the only person who has been standing by our side holding our hands and leading us away from all the external and internal trouble. Though you may complain your mom is nagging, exacting, demanding, annoying or judgmental but you are sure to miss her solely when she is not around. She is a gracious garden that makes our lives bloom with happiness and prosperity. We are the flowers of this garden glowing in different colours, full of life. In today's hustling life, when there is not enough time to thank our adorable mother for all that she does for us, there is a special day set aside, to make her feel what she truly deserves- the Mother's Day. The particular tradition of celebrating mother's day is not something new, it's ancient. Greek and Roman had set aside a specific day when they would worship the mother goddesses and give gifts to their own mothers. With the course of time, the tradition has changed a lot but still, it is widely followed all over the world. Traditionally this particular custom was started in Europe when on a specific Sunday called Mothering Sunday, the mothers were honored in different ways. FlowerAura, is the most popular online flowers and gifts store brings you the most magnificent mother's day flowers bouquets to express your love and gratitude for her. Send online flowers and gifts for mother to make her happy with your gift. Our spectacular range of mother's day flower gifts will instantly take your breath away. All you have to do is, just log in to the website and choose the best one suited for your mum. What Makes Mothers Day Flowers Delivery So Easy At FlowerAura? - You can choose from the widespread array of mothers day flowers available in all varieties and colours. 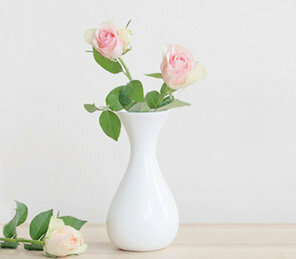 - You can find out about cheap mother's day flowers with the help of our 24X7 online chat facility. - You can make easy payments with the help of our smooth, hassle-free and secure payment gateways. A day so special for your mum must be celebrated with most unique mother's day flower arrangements that we have on display. The spectacular creations made of roses, carnations and lilies such as "Eternal Bliss', "Divine Motherhood", "Mum's The World" and "Pink Horizons" will certainly catch your mum's eye and elate her heart with all the love and affection that you have for her. With a wide-reaching network in 200+ cities, midnight delivery, and same day delivery services on board, we are all set to serve you for this amazingly exceptional day of your mum's life. FlowerAura gives you the best opportunity to choose from a wide variety of Mother's day special flowers available in all varieties and colors. You love your mother but somehow have not said this for years now. There have been moments when she stood by you, caressed you, made you sleep and have supported you emotionally. There have been nights when she did not sleep for, you were studying the entire nights. There have been days when she was glued to the kitchen making delicacies for you. Words fall short to describe what she means to you. However, this Mothers’ day do not miss the opportunity to reciprocate the feeling. Let happy mothers day flowers do the talking. You may be in some other city away from your home town or may be out for a vacation. There is an equal probability that you are too busy with your deadlines. She deserves all your time. So, even when you cannot personally come to wish her, pursue the same our speedy delivery options. You are simply required to click on our website and avail the mothers day flower delivery with ease. Most important of all, is to not wait for going back to home or some other day. You are here on the website so just click on the flower of your mothers’ choice and ensure she is made to feel special and loved and caring. She is and will always be the most beautiful person in the world whose primary objective is to see you happy and content. FlowerAura is really famous for featuring two of the best in class flower delivery features called the same day and midnight flower delivery. The same day flower delivery ensures that your flowers will be delivered to your mom within the same day itself while the midnight delivery of flowers gives you the opportunity to surprise your mother at the middle of the night. Now, you can buy Mother's day flowers from the comfort of your home and make your mom feel like heaven. If not much, at least this can be pursued by you. So go on all you darling daughters and loving sons, it’s the day for you to be thankful about.